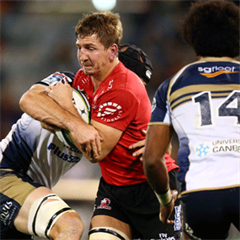 Cape Town - Sarel Pretorius has been tasked with the role of adding spark to the Cheetahs when he appears off the bench in their Super Rugby clash with the Brumbies on Saturday. Pretorius was picked on the Cheetahs bench for the encounter in Canberra, with Tian Meyer named as the starting scrumhalf. Pretorius missed the Cheetahs' first two games on tour due to his wife giving birth to their second child. Coach Naka Drotske made several changes to his team from the one which lost 37-27 to the Chiefs in Hamilton last week. Drotske spoke to Netwerk24 from Sydney where the Cheetahs are preparing for Saturday's clash. The coach said Meyer has performed well over the last few weeks, and that he is looking for Pretorius to add spark when he comes off the bench in the second half. Drotske's decision could aid the Cheetahs, who struggled in the second periods of both their games on tour. 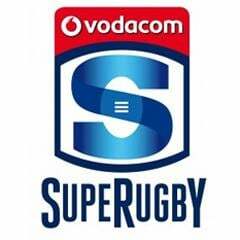 They led 14-10 against the Crusaders, before losing 57-14, while they only trailed 14-13 against the Chiefs last week. Saturday's clash at GIO Stadium kicks off at 10:40 (SA time) on Saturday.